Google rolled out an update to its translation app on iOS today, introducing support for even more languages as well as some cool new features. 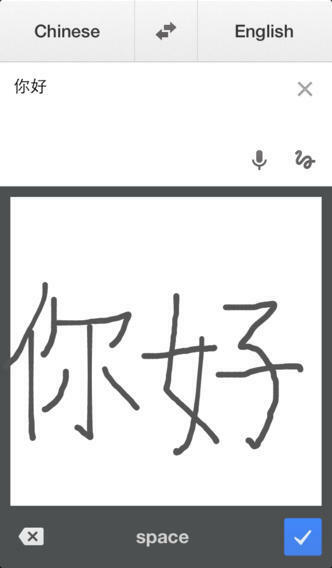 The iOS 7-optimized app now supports over 70 languages, and can even translate handwriting. The updated version of Google Translate is available through Apple’s App Store and iTunes. The new handwriting feature doesn’t scan what’s already been written. Instead, you simply copy the text you want translated into your iDevice’s display and Google will translate from 49 different languages. The main purpose is to translate from languages not based on the Latin alphabet—Chinese, Japanese, Arabic, etc—since most users don’t have their keyboard set up to handle those letters. Google Translate still offers the usual options, including text-input translation, which can then be spoken back to you for pronunciation help, and voice translation for facilitating conversation. The new update also adds support for a handful of additional languages, including Bosnian, Cebuano, Hmong, Javanese, Khmer, Lao, and Marathi.